An attack on a Coptic church in north-eastern Egypt, which was also targeted during the wave of anti-Christian violence in August 2013, has been repelled by state security forces stationed outside the building. 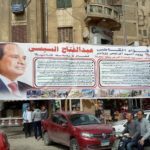 The heavy security presence outside the Mar Girgis (St. George) church in El-Arish, which had the use of an armoured vehicle, helped blow up the attackers’ car. The church building was not damaged. The group of about 15 terrorists had clashed with police during a series of attacks throughout the morning of 16 October, a security source told Coptic news site Watani, culminating with an assault on the National Bank of Egypt. 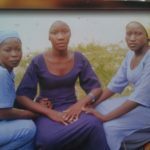 The attackers, who had been driving around in a green pick-up truck shouting “Allahu Akbar” (Allah is the greatest) planted five bombs around the bank. Three policemen and three civilians were killed, and 17 injured during the clashes, though there is no report of the bombs being detonated. 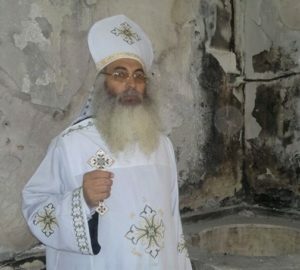 Mar Girgis was one of many churches attacked during a wave of anti-Christian violence on 14 August 2013 after the military used force to break up camps of protesters – including many supporters of the Muslim Brotherhood – who demanded the reinstatement of former president Mohamed Morsi. 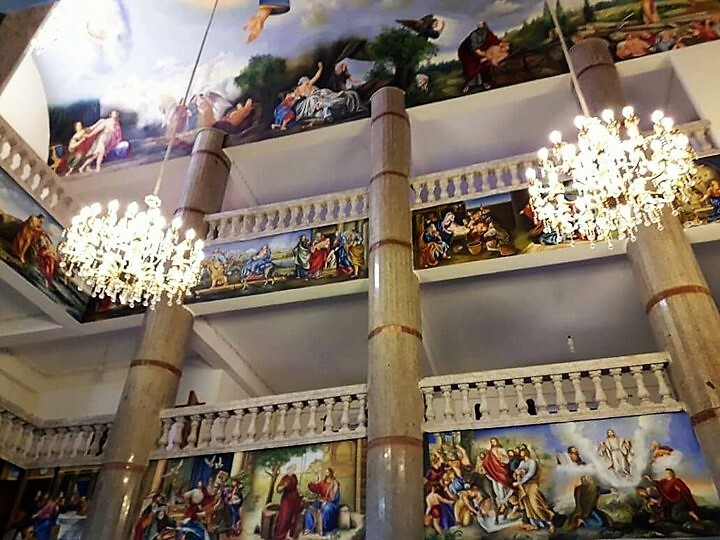 Egypt’s armed forces promised to restore and rebuild churches damaged in the aftermath of the violence, but Mar Girgis – which was burned and looted – is taking longer than anticipated to rebuild, partly due to other security incidents. In June 2016 the church’s priest, Father Rafael Moussa, was shot dead from a passing taxi after leading mass at Mar Girgis. The Islamic State group claimed responsibility. He was the second priest to be assassinated in El-Arish, capital of the North Sinai governorate, since former President Morsi was removed from power in 2013. Boulos Halim, a church spokesman, said at the time of Fr. Moussa’s killing that “the whole situation in El-Arish and North Sinai is under threat. Many people [Christians] have left”. A string of killings in El-Arish – including one incident when a woman witnessed her husband and son being killed by a gunman who then ticked them off an IS hit-list – led to scores of Coptic Christian families leaving the city for Ismailia and Suez, about 200km away. In March 2017 it was estimated that 70 per cent of the 160 Coptic Christian families living in the city had left. 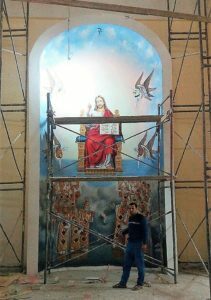 A source told World Watch Monitor yesterday that some of the remaining Christian families are living close to St. Mary and St. Michael Coptic Orthodox church, which the military are renovating. Other families are waiting for security in Sinai’s largest city to improve before they return, the source said.